It can be challenging to fit your normal workouts into a busy summer schedule. Here at Courthouse, we offer a number of 30-minute classes that will keep your workouts on track during the summer months. Experience all of our 30-minute options on Saturday, August 4th at the Battle Creek Club. We think you'll be pleasantly surprised (and really tired from all of the exercise)! 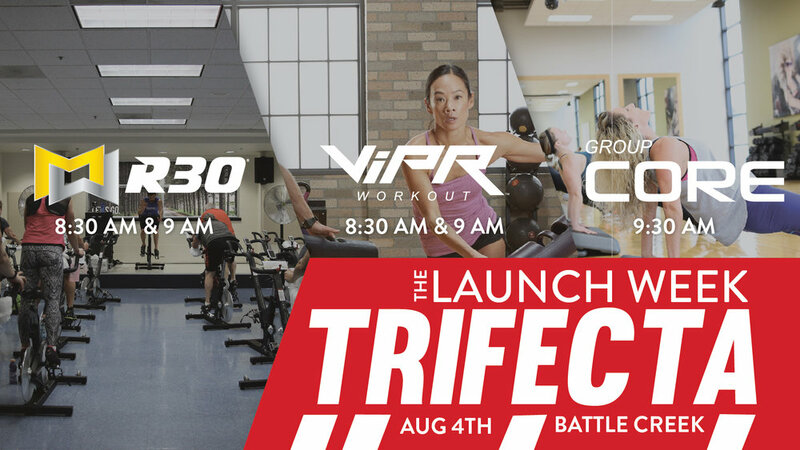 This event will get our Launch Week off to a great start as we bring all new music and workouts to our group classes for August.